Sunday Dinner, No Big Deal | Food It Yourself! 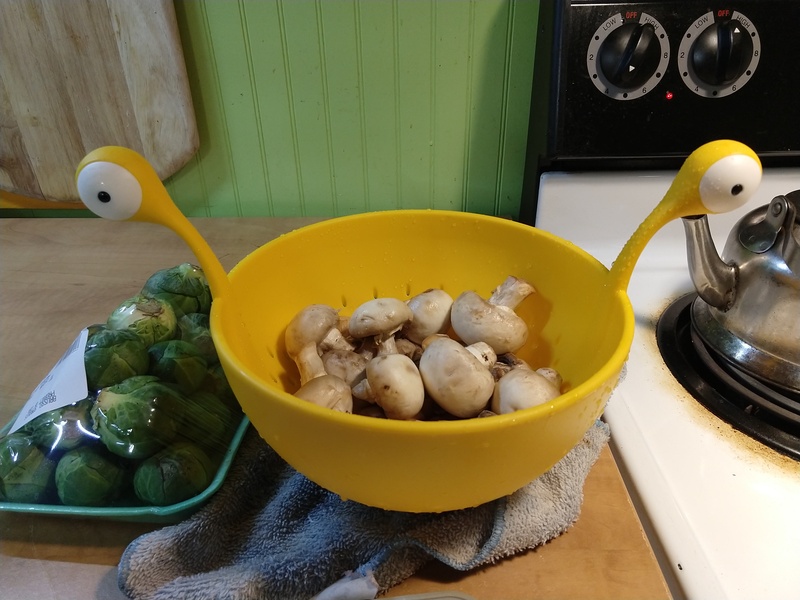 Step one- wash those mushrooms! Seriously, they are grown in manure. Wash them a lot before you proceed. Such a great Sunday we had in the Food It Yourself house today! There were no animal related emergencies; Agnes Featherduster is back in the chicken coop where she belongs. Neither Mr. Food It Yourself nor I had any pressing errands to run. Nothing broke. Nobody was sick. It was an easy, relaxing, rainy day. We spent a few hours in the early afternoon with my parents during which my mom and I selected our garden seeds for the year. I’ll give you the details on that another day. 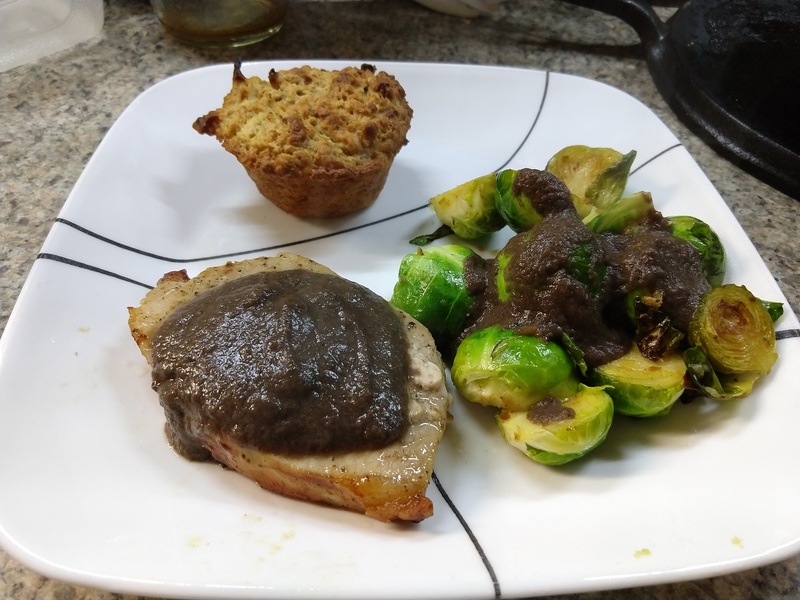 Tonight, I made a scrumptious Sunday dinner with some of my favorite foods: broiled pork chops with mushroom gravy, sautéed Brussels sprouts, and muffins. 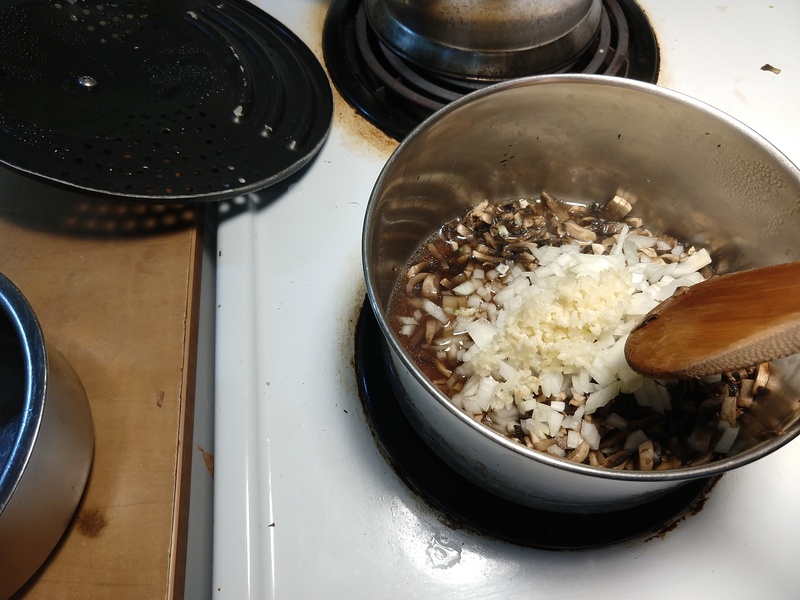 Gravy is not my strongest cooking subject, but I made it because I had a 12 ounce pack of mushrooms that was going to go bad if I did not use it soon. Food waste is bad. I try to avoid it at all costs. 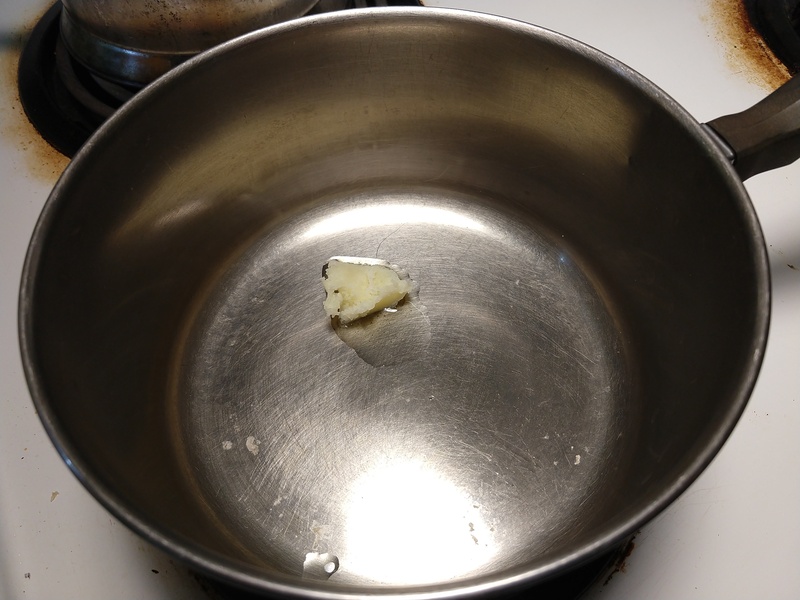 Melt a little butter in a sauce pan. Easy, right? 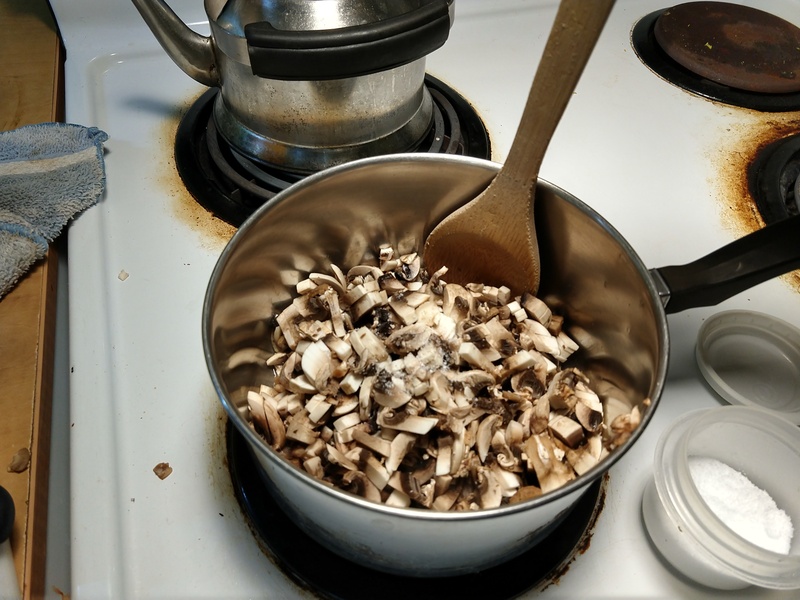 Finely chop the mushrooms, add a pinch of salt, and let them sweat it all over medium heat. 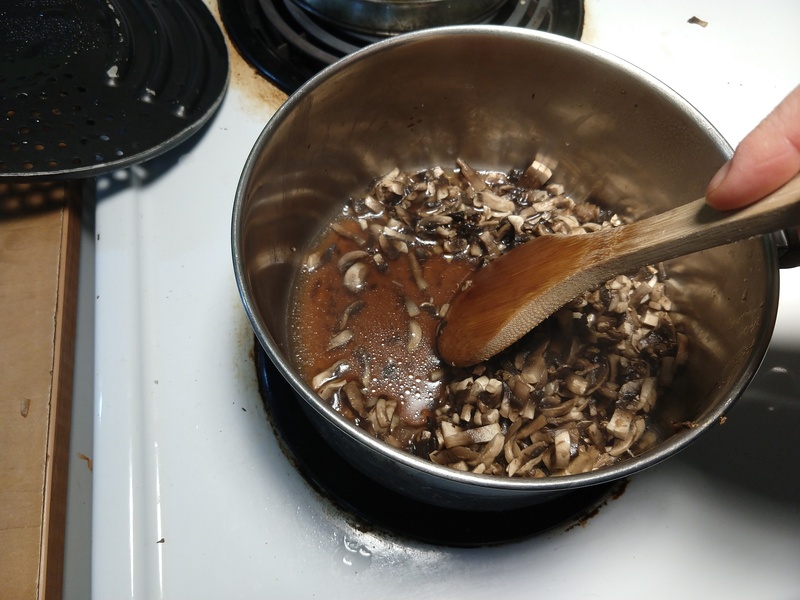 After about 15 minutes the volume of mushrooms will decrease and all the mushroomy essence will puddle in the bottom of the pan. Don’t waste that 15 minutes. Finely chop half an onion and five cloves of garlic. Add the garlic and onion to the pan. Time to up the liquid portion of this gravy. I used two cups of broth and half a cup of red wine. 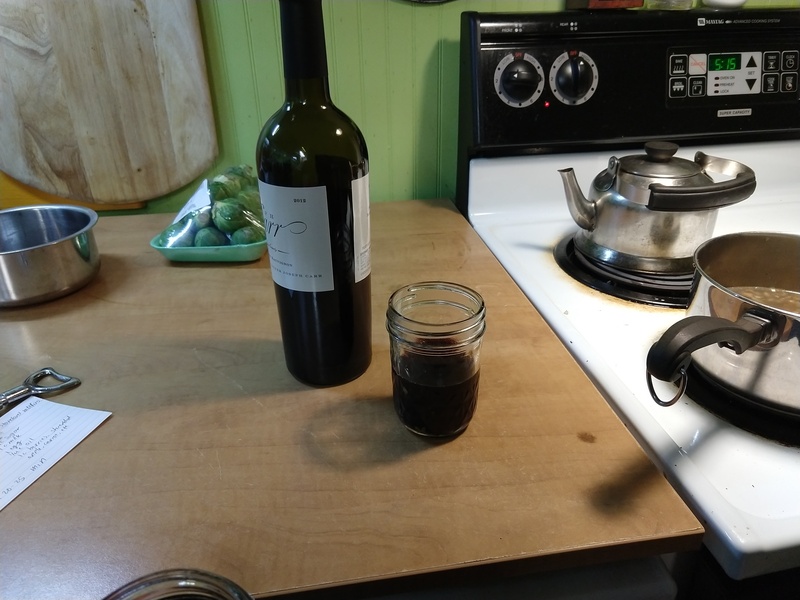 The wine is optional, but never cook with a wine you would not drink. We had a bottle of wine Mr. Food It Yourself got for Christmas from a co-worker. I did not want to waste it, so I drank a little to make sure it was good, then added half a cup to the gravy. 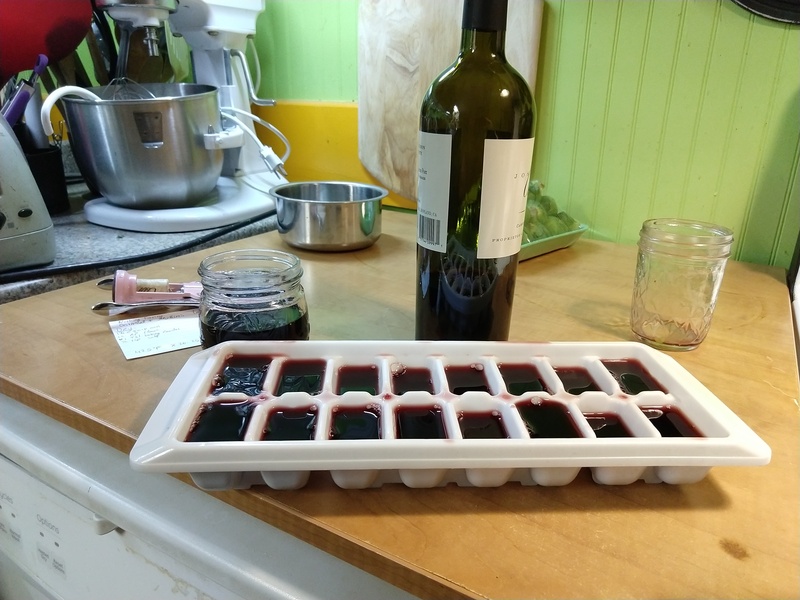 Don’t get the wrong idea- the wine that did not make it into the gravy or into my glass was made into ice cubes, which will be used for future cooking adventures! 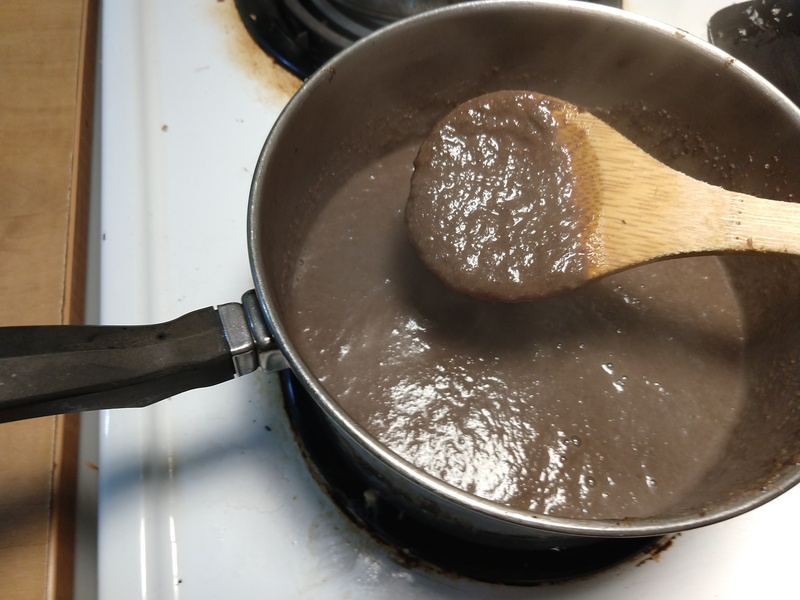 Cook off the alcohol in the wine by simmering the gravy for 10-15 minutes. Hit that with a blender, finish with a little pepper. There you go- gravy. I love to cook, obviously. How else could I keep my DIYet? The last few weekends have been pretty draining, th0ugh. Tonight, I had fun making a super tasty DIY dinner for Mr. Food It Yourself and I. Yes, it was a little work. However, I used up some food that might have otherwise gone to waste, and made a delicious, nutritionally balanced meal. I even practiced my less-than-perfect gravy skills and it worked out okay. It was totally worth it! What is your favorite “worth the work” dish? Share in the comments! 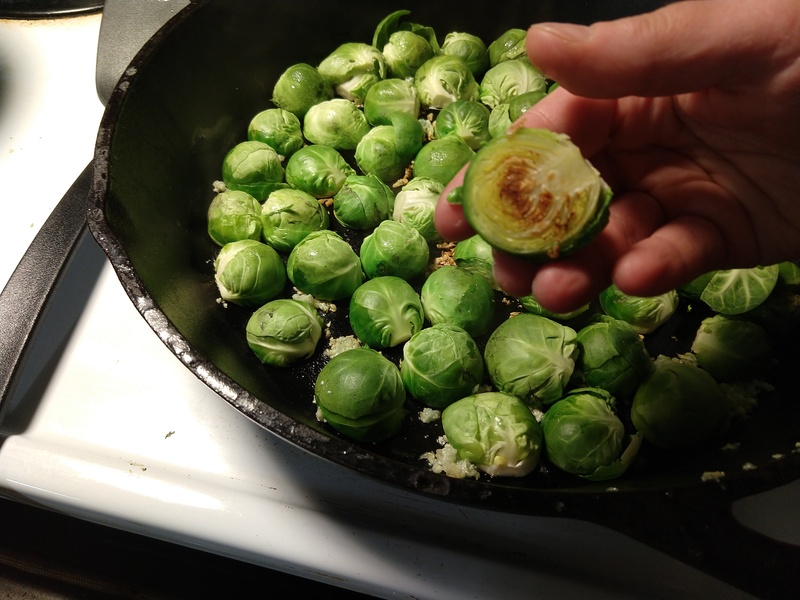 BONUS: Here is my tip for amazing Brussels sprouts. When you sauté Brussels sprouts place them into the pan with the cut side down for 15-ish minutes over medium heat. Look how pretty! BONUS BONUS: Here is my muffin recipe. I adapted it from about half a dozen or so that I liked. Muffins are really easy. I like making them a lot. Combine the dry ingredients in one bowl and the wet ingredients in a different bowl. Grease the cups of a muffin tin- I use cooking spray for this. When the oven has preheated, combine the wet and dry bowls until the dry ingredients are just moistened. Fill the muffin tin cups 2/3 full, bake for 20-25 minutes.